Google has recently launched a new tool that is redefining the future of search engines. Google Lens is an image-based search that allows customers to find exactly what they are looking for. This search option is similar to text-based search, except for Google Lens, the image itself is the search query. Customers can visual search based on part of a saved image, or search in real-time using their camera phones. After the initial release in October 2017, Google has already made some major developments in their latest product. 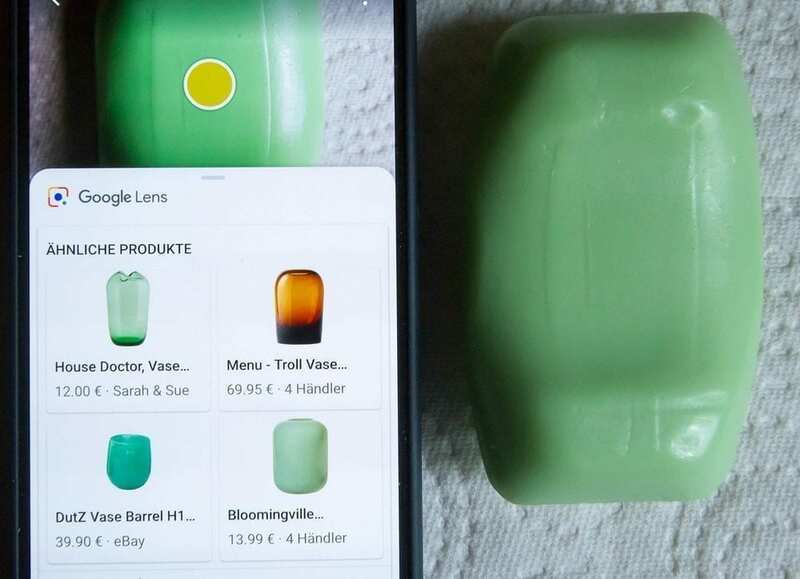 Google Lens allows customers the opportunity to search what they see; users can snap a photo of a product they like, and Google will provide a link to buy the item or offer related items to browse. Not only is this process time efficient and convenient for the consumer, but it benefits businesses by directing shoppers to company websites and boosting product and service visibility. In addition to items, Google Lens also has the ability to search practical objects such as receipts or shopping lists. Due to Google’s advanced technology, Lens can identify the text in these images and convert them into useful applications. For instance, a user can take a picture of a business card and Google is able to easily add the information into your contacts list. Another facet of Google Lens is Style Search, an intuitive feature that allows customers to shop their favorite outfits, shoes, jewelry and home décor, all from the power of their mobile device. Objects such as these are difficult to describe for the purposes of a text-based search, so instead Google Lens allows visual input to provide the relevant search results you want. Visual search and Google Lens presents numerous opportunities for companies, so this is one trend you do not want to fall behind on. If you are interested in optimizing the images on your websites for Google Lens, we suggest you focus on posting organic images, which means using photos of your product you have taken yourself. When consumers use image-based solutions to search for a product, authentic images allow Google to accurately match your company’s name and products to the consumer’s photo. In addition to boosting visibility, organic content increases sales by identifying your product and leading the customer straight to your webpage to purchase the product. If you have any questions about Google Lens, need help enhancing your products for visual searches, or other digital marketing services please contact Pink Dog Digital at (410) 696-3305, email us at info@pinkdogdigital.com, or visit us on the web at www.pinkdogdigital.com.